Here is the boards and wiring. Still need a pretty box to put it all in. This is the power control unit. It uses 8 SSRs on an American DJ unit. Next component on order is a keypad. That is geneous!! you have any plans to monitor any more params? maybe pH? ammonia? salinity? Thought about using a cars 12v windscreen washer pump along with a solar panel and battery to run a filter for my small freshwater tank, can you think of any issues with such a pump ( or suggest another 12V solution? ). It does monitor pH. Ammonia and salinity are difficult to monitor as far as my research goes, so probably not. As far as your 12v pump, I would be worried about it leaching heavy metals or other chemicals into the tank. Also, corrosion will be an issue. Great Project! I was planning to build a PH Probe amp like you did, I posted on the interfacing section of this site a while back but I have not gotten all the parts to complete the project. Do you think its possible to use a dual op amp instead of two op amps to make the ph probe read 1-5? I have been looking at your code for some ideas for my controller, At the moment i have a profilux looking after most of the stuff but im builing my own led lighting and the arduino seemed perfect for what i wanted to do. I think a dual op amp would work exactly the same. How were you going to power it? I was looking for something better than just two 9v batteries. Hey Jener8tionx - I hadn't figured out what I was gonna do for a power supply yet. I'm glad you brought it up, I most likly would start the same way you did with the 9v's but I'm gonna need to check out that sparkfun tutorial again because I need to power a few different designs now. I finally finished the enclosure for my controller. I really liked this project! Thanks for posting this! I was thinking about doing something similar. I was looking at building an LED bank for the lights. I wanted to do an scr pwm controller connected directly to the mains to power the LED's. I thought it would be very power efficient but would need to be carefully done so a failure didn't fry the fish/cause a fire. Awesome project! I love the idea of monitoring the vitals of the tank. Great job! I recently posted this instructable for automating your aquarium lighting. I've had it running now for a few months, and it's been great. I built it with just the ATMEGA168, but it would be easy enough to adapt to the Arduino. That's pretty cool. I've been thinking about LED lighting, but with the saltwater it has to be a bluish color. Figured I'd use RGB leds so I can control that. Of course than the cost goes way up. 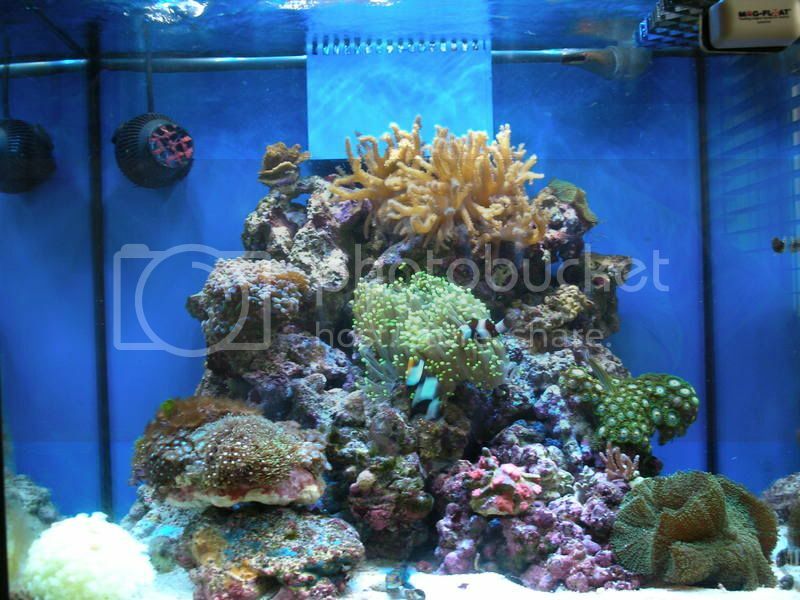 Anybody else with a saltwater thought about how to do this?